Unless I’m missing something the key differences are the black and red ringing the field and the end zones being red fill with white text, whereas now there is no ring at all, and the end zones are just red lettering. 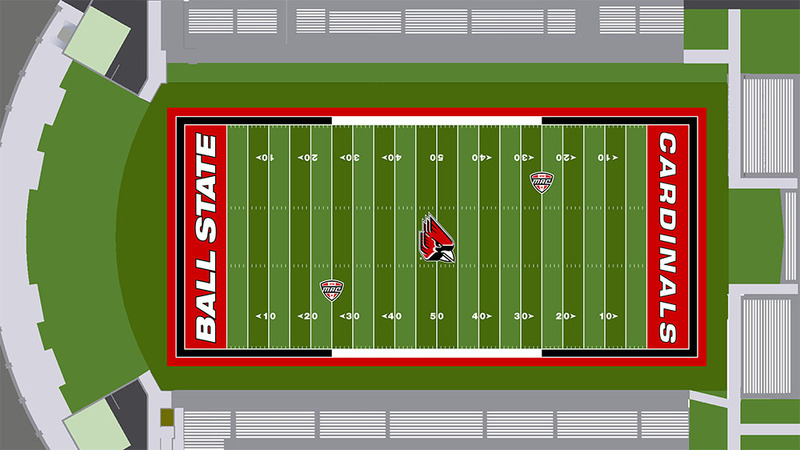 It’s a clean design, it’s not crazy different (a la Eastern Washington’s all red turf that makes your eyes bleed), and most importantly: it’s something new. Positives all around. Your thoughts? Andy, can’t say for sure but there is a new virtual home for Cards fans to gather. overthepylon.boards.net is the address, or you can click on the Pylon on the left hand sidebar. I like it. Hopefully more fans or showing up than my time in Muncie.